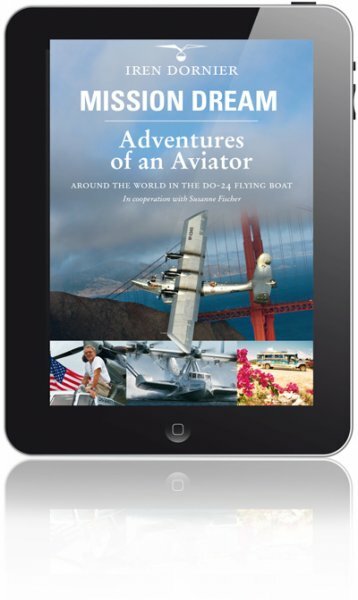 Follow Iren Dornier, grandson of the legendary aircraft engineer Claude Dornier, on his journey around the world in the Do-24 flying boat. Read how the adventure comes together in this spectacular picture book, containing more than 250 photographs in colour and duotone on over 470 pages. Have a look at www.dornierbooks.com and download a free sample of the Mission Dream eBook and get more information. You can purchase the eBook now via the Apple iBook store. It's best viewed on Apple iPad, iPhone and iPod Touch. Irén Dornier’s creativity knows no limits. The Spring/Summer collection will not only have watches but also leather flying jackets and leather bags. Naturally with the personal Dornier label. Take a look, you will be amazed.